restoration: The Gillygate area was included in the initiative. From printing to politics to markets and merchants, Pontefract has a rich history. And, if plans get the go-ahead, new information boards could be installed to share tales from the town’s past with visitors and residents. historic: the town's market place. A ‘Ginnels and Burgage Plots’ sign will highlight passageways and yards in the town centre, their names a nod to commerce and trades in the area in bygone periods. The second sign - ‘Medieval Hidden History’ - will pinpoint historic architecture as well as shining a light on markets and crafts in Pontefract in the Middle Ages. And the final sign ‘Historic Market Place’ will refer to the 1194 charter which granted Pontefract the right to hold weekly markets and a printing business which made pamphlets and guidebooks about the town. 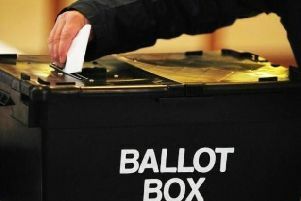 It will also tell of the UK’s first secret ballot election, which took place in Pontefract in 1872. The boards have been planned to mark the end of the Pontefract Townscape Heritage Initiative (THI). Since 2011, the scheme has seen historic buildings in the Pontefract Market Place Conservation Area repaired and restored with funding from Wakefield Council and the Heritage Lottery. Planning documents state that the information boards will provide local heritage information about the town and will be a “permanent record” of the THI, detailing different projects that have benefitted from grants for refurbishment work. Proposals for the boards have been submitted to Wakefield Council planners for consideration.